With Wladimir Klitschko retired, where will Anthony Joshua turn? 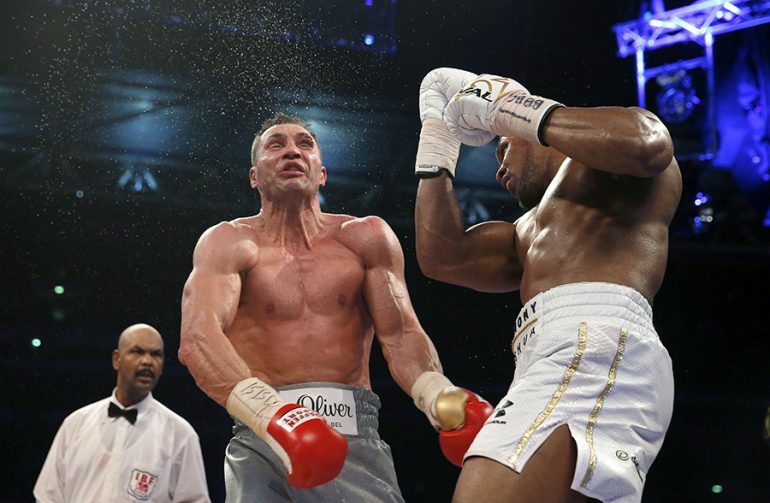 Anthony Joshua and Wladimir Klitschko created a heavyweight classic in April. Both men tasted the canvas, and Joshua rallied to scored an 11th-round stoppage to announce his arrival in boxing’s glamour division. The fight contained a rematch clause, and Klitschko was widely expected to exercise his right for a second meeting with Joshua. It was heavily anticipated by the public, so much so that Joshua promoter Eddie Hearn traveled to the U.S. recently and penciled in November 11 at T-Mobile Arena in Las Vegas for Joshua-Klitsckho II. All that needed to happen now was for Klitschko to give all parties the go-ahead. Instead, the future hall of famer announced his retirement Thursday at age 41. The decision puts a damper on the fall schedule, and more so, leaves Joshua, the U.K.’s biggest boxing star, with a gaping hole on his dance card for the fourth quarter of 2017. So where exactly does Joshua go from here? it’s possible Hearn could move to pit the Olympic gold medalist with Deontay Wilder in a unification match that was pegged for 2018. That’s one of the biggest bouts that could be made in boxing. Both men are undefeated, carry big punches and even bigger personalities. An even bigger matchup would see Joshua against RING heavyweight champion Tyson Fury, but that’s incredibly unlikely, at least in the near future. Fury still doesn’t hold a licence, is grossly out of shape and likely would need a few tune-up fights first. You can also forget about a unification bout with Joseph Parker, who fights Tyson’s cousin, Hughie Fury, on September 23. That leaves the most realistic option for Joshua: his IBF mandatory title defense against Kubrat Pulev. Pulev has reeled off five consecutive victories since Klitschko laid waste to him with a spectacular fifth-round knockout in 2014. Now, through the good grace of boxing sanctioning bodies and Klitschko’s retirement, Pulev is likely to get one more shot at a heavyweight title this fall. Joshua-Klitschko II would have been another marquee event in 2017, but with it gone, one thing is clear: the heavyweight division, at the moment, belongs to Joshua and Joshua alone.